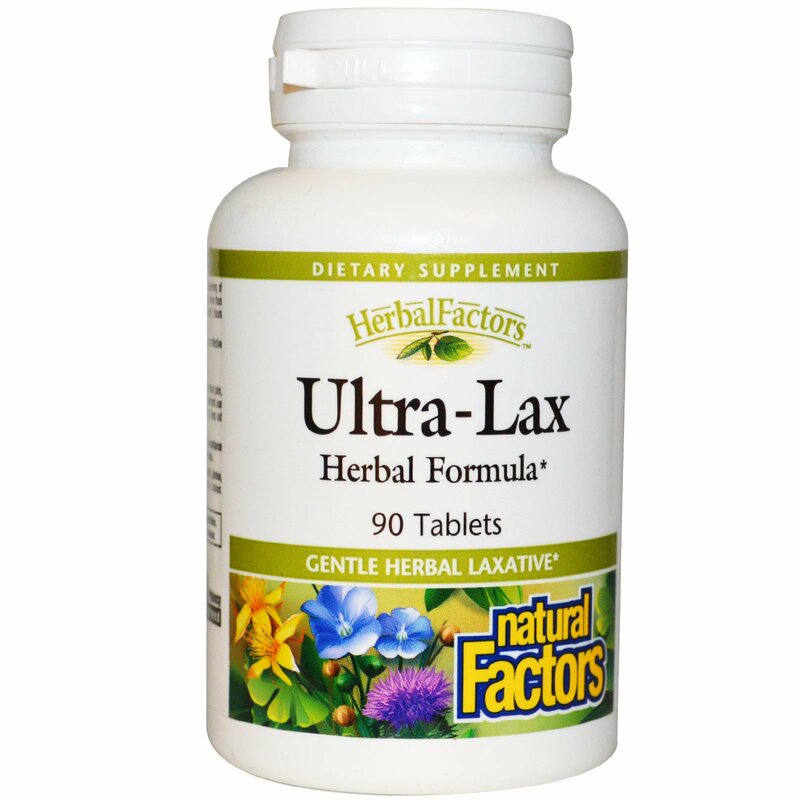 Natural Factors Ultra-Lax is an all-natural, gentle laxative that produces effective action in 6-12 hours. Indication: For the relief of occasional constipation. 1 tablet at bedtime. 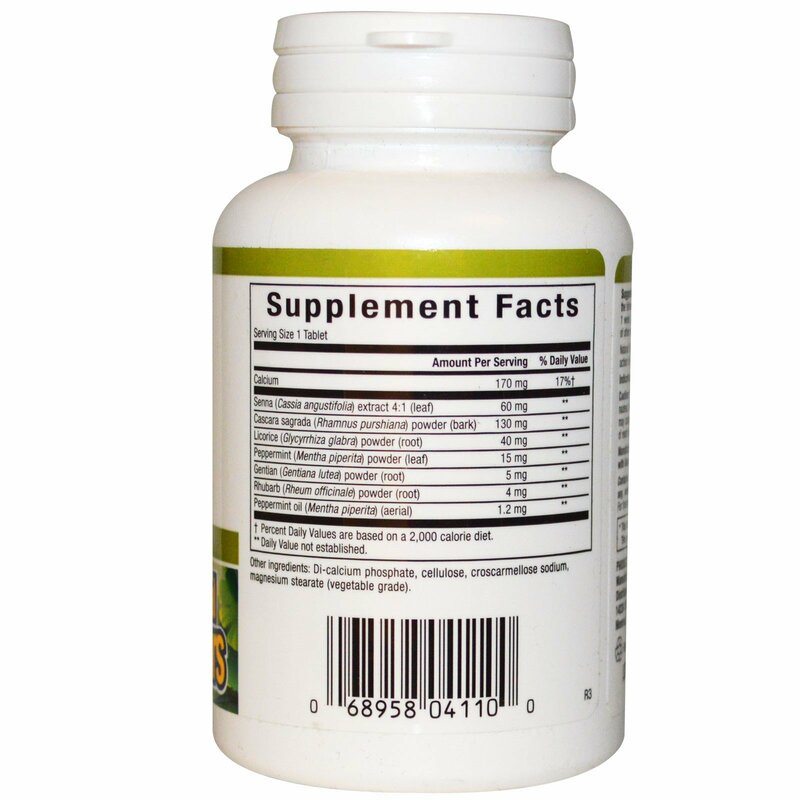 If bowel does not act by mid-morning of the following day, take another tablet. Do not take any type of laxative for more than 1 week, unless specified by a health professional. Not to be taken within 2 hours of other medicines. Di-calcium phosphate, cellulose, croscarmellose sodium, magnesium stearate (vegetable grade). Caution: Do not use if you have or develop diarrhea, loose stools, abdominal pain, nausea, fever, vomiting or other symptoms of appendicitis. Overuse or extended use may cause dependence for bowel function. Do not use during pregnancy. Keep out of reach of children.